Boredom came when an individual feels so dizzy and uneasy at home, especially if they got a messy and uncomfortable home interior. Comfort and beauty is supposed to be part in creating home interior. Most homeowners are not aware that planning a comfortable and beautiful home interior does not take much cost. It only requires self-motivation and focus on planning and designing to be able to have a clean, practical and peaceful home interior. 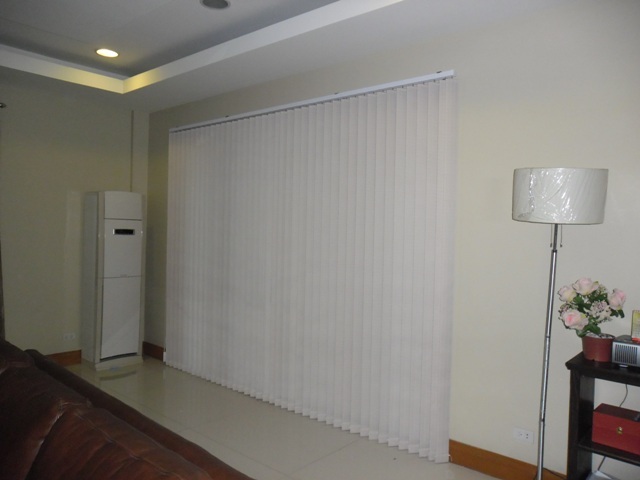 Our client in Parañaque City, Philippines, who opted for Fabric vertical blinds, believes that perfect home design only needs creativity and knowledge in style matching and fraction to know how. Do not hesitate to ask your friends and neighbors for help, their suggestions and tips will help you a lot. Do not overdo your home interior because overdoing home interior is the reason why people became so bored and irritated when they are staying at home. Dispose unwanted things at home, substitute proportionate container on your corresponding area at home. Trying to hang a beautiful window dressing like Fabric vertical blinds can make you feel relax and comfortable while staying at home. Fabric vertical blinds can uplift the beautiful look of your interior because of its unique and chic look. Beautiful outcome of home interior design does not come in a snap. It really needs planning and a little experiment. 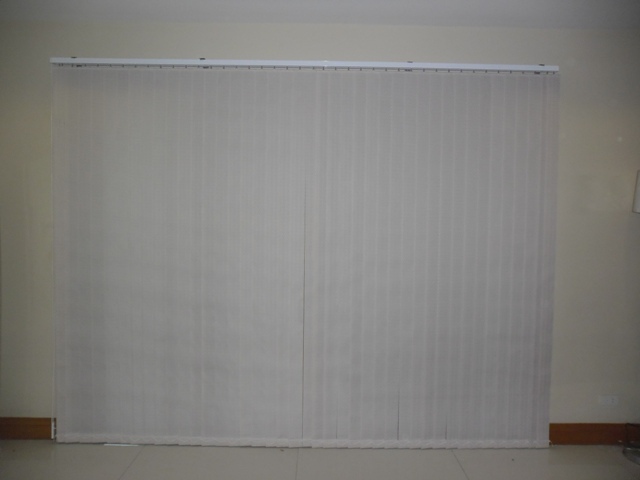 If you are planning to change your window treatment and uplift the beautiful look of your home design, do not hesitate to visit DS Windows and Walls and we offer Window Blinds, Accordion Doors / Folding Door, Carpets and Vinyl Wallpaper. We are located at 2nd level Pacific Mall, Lucena City, 3rd level Robinsons Metro East, Pasig City and 4th level Waltermart, Makati City. Our Company also offers free home visit within Metro Manila area. Just call us at (02) 403-3262 / 0916-311-3909 / (02) 893-1373 / (02) 668-9668 or email us at inquiry@dswindows.com.